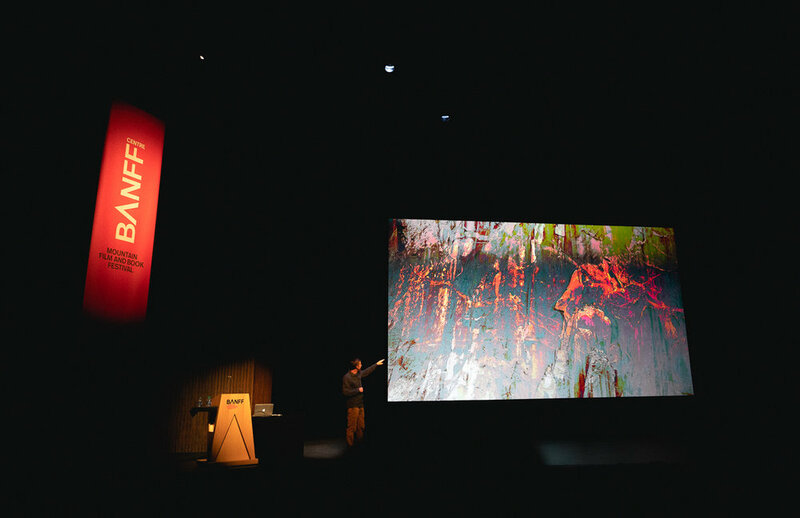 Every year we're proud to support the Banff Mountain Film and Book Festival in their efforts to gather the mountain community and promote our culture. 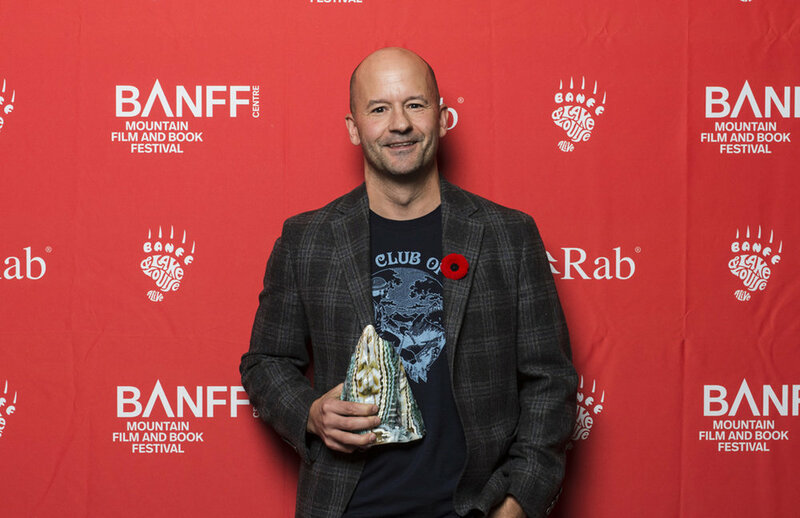 We’ve been a partner with the festival since the very beginning in 1976 and helped to fund awards like the Grand Prize (The Phyllis & Don Munday Award) for the Banff Mountain Book Competition, and Best Film in Climbing. 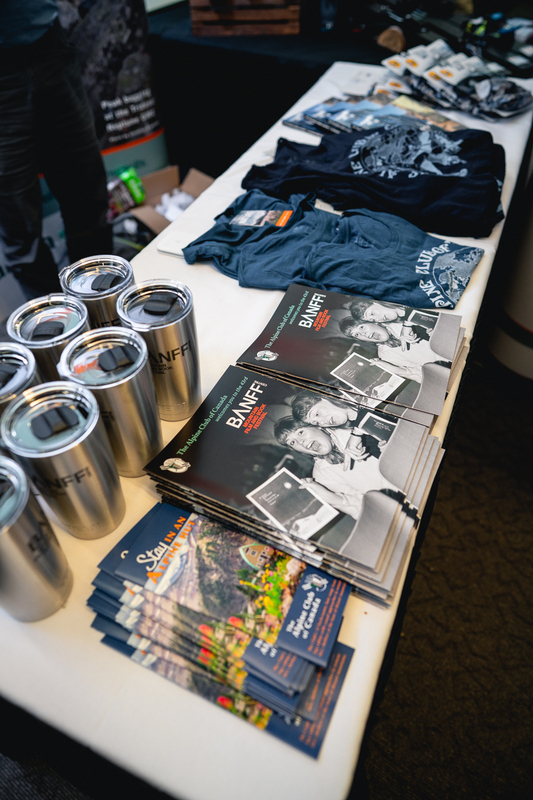 The festival has obviously grown a great deal since 1976 and many other partners have jumped on board, including a very close one of ours, MEC - together we partnered with YETI and sold the coolest mugs to date during Happy Hour, with all proceeds going to our Environment Fund! 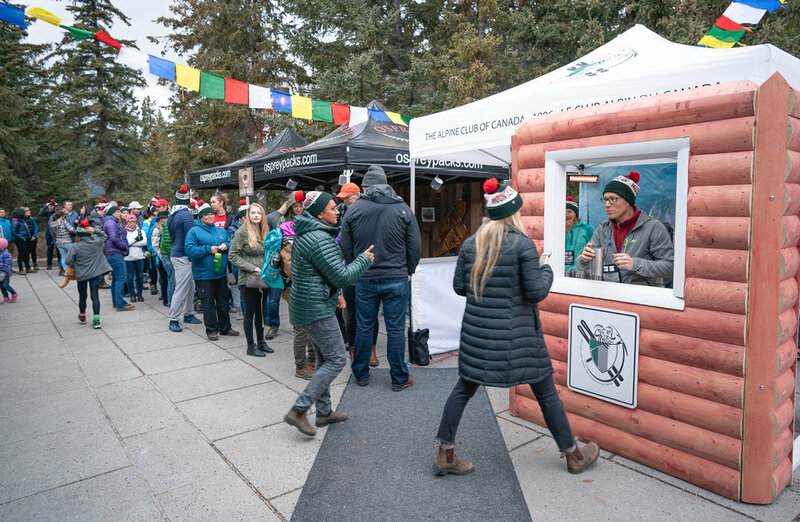 It was truly #nineepicdays at the Banff Mountain Film and Book Festival, and we’re proud to take part in an event that upholds the values of the ACC and our mountain community. A great audience filled the room at awards, presentations and viewings. Executive Director, Lawrence White with the award for Best Climbing Film, going to Free Solo. Paolo Cognetti wasn’t present to accept the Grand Prize - The Phyllis & Don Munday Award, but did tune in online to give his thanks. A full house and captivated audience! The Mountain Marketplace is the “Meet & Greet” for those wishing to learn more about the various companies and organizations within the mountain community. We had quite a few offerings this year: heavily discounted ACC merchandise, pre-Happy Hour mug sales, hut trip draws and a special edition copy of The Gazette. We were excited to see veteran members of the ACC stop by, along with new Canadian residents looking to learn more about our organization. It was also quite heart-warming to hear stories from current members who made good memories at our backcountry huts. Big crowds in the Mountain Marketplace between films and presentations. Old and new friends stopping by to say ‘hi’. The Mountain Marketplace wraps around the entire Eric Harvie Theatre. All the sweet things we had to offer at our booth this year! We had a blast - hope you did too! On Saturday we ran “Happy Hour” with MEC & YETI from 5-7pm, where you could purchase a mug which came with a raffle and beer ticket. We’ve done this in past years with MEC, but this year we partnered with YETI and were able to offer up some serious Rambler 20z Tumblers. Those who arrived to our booth early in the Mountain Marketplace were able to purchase the mugs before pre-sales ran out. When Happy Hour arrived, we had a line going around the corner! Not everyone in line was able to get a mug unfortunately, but we’re keeping this in mind for next year’s BMFF! All proceeds from mug sales (almost $3,000!) went to the ACC’s Environment Fund - thanks folks! Our friends over at MEC helping to set up and manage Happy Hour. 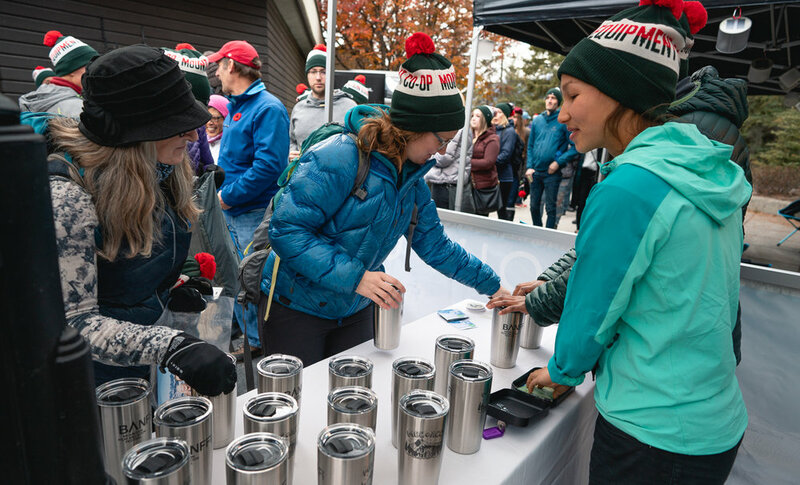 Lining up our sweet YETI Rambler mugs. The ACC’s involvement at the 2018 BMFF was a huge success, and that’s largely due to all the volunteers and staff who helped to run the Mountain Marketplace booth, present the awards and helped with all the other hidden tasks… and of course, thanks to our members who stopped by and attended Happy Hour! If there’s anything you’d like to see the ACC take part in for next year, feel free to reach out to marketing@alpineclubofcanada.ca with your ideas. We’re excited to see you there!